A field-level view of the new FieldTurf installation at CenturyLink Field. (Photo courtesy of Sounders FC). 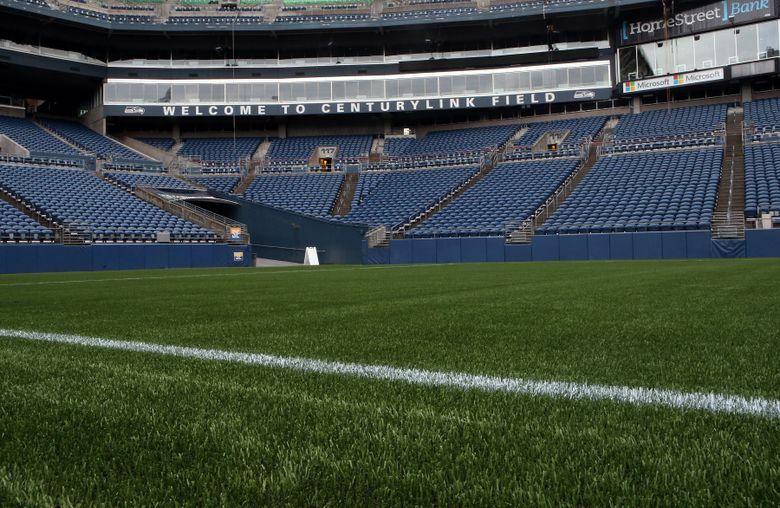 The Seattle Sounders announced Friday the completion of the new FieldTurf installation at CenturyLink Field, four days before they open their new campaign in the CONCACAF Champions League on Tuesday against Club America. It’s not natural grass, but it’s not the soggy bathroom mat of 2015, either. The Sounders announced Friday the completion of the new FieldTurf installation at CenturyLink Field, four days before they open their new campaign in the CONCACAF Champions League on Tuesday against Club America. The quality — or lack thereof — of the playing surface has been a point of contention for the Sounders in recent seasons. FieldTurf changes the dynamic of the game much more directly than it does during Seahawk Sundays in the fall. In a sport played mostly on the ground, worn-down turf affects the way the ball plays, leads to bobbles, makes it harder to control. The Sounders even had it written into their new CenturyLink Field lease that the turf must replaced after no more than four years. The previous installation took place before the 2011 MLS season. “We prefer a field that’s a little bit softer, where the blades are still a little more lively and it plays more like grass,” Hanauer said last spring. The new FieldTurf is of the Revolution 360 variety, which is named “after the concept of completeness,” according to the statement. It recently achieved a score of 83 on something called the Fiber Performance Index.